Richard Hoggart's book, The Uses of Literacy, established his reputation as a uniquely sensitive and observant chronicler of English working-class life. This large volume vividly depicts his origins in that setting. It is an autobiographical account combining Hoggart's three masterful works, A Local Habitation, A Sort of Clowning, and An Imagined Life, in which he details his life from 1918 to the present. The first part of the trilogy (1918-1940) describes Hoggart at an early age, recreating his circle of family and friends. It ends with him earning his degree from Leeds University, and about to leave Yorkshire to go into the army. The second section (1940-1959) opens in wartime England and moves into the beginnings of Hoggart's career in writing. The final installment (1959-1991) traces and assesses a changing Britain and Europe and finds Hoggart reconsidering to his childhood. The book provides vivid insight into the life of one of Britain's outstanding writers, and chronicles changes in working-class and English culture after World War I to the present. Following the original publication, Philip Oakes of The Times Literary Supplement wrote, "He writes with a passion that is usually well banked, but which flows now and then with a visionary intensity. It is a remarkable way of looking at England." 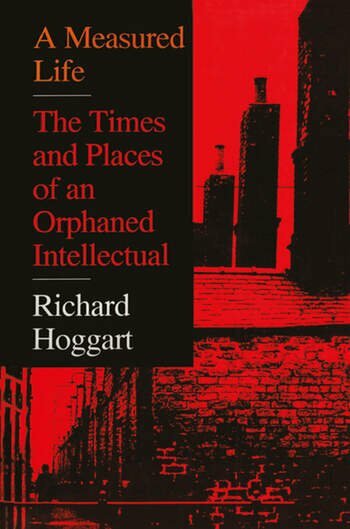 Beryl Bainbridge, writing for the New Statesman, said, "The setting of his own life in the context of social history makes Hoggart the ideal autobiographer." A Measure Life will be an enjoyable and insightful read for students of literature, culture, and English history as well as admirers of Richard Hoggart. Few will walk away from this volume without being the wiser with respect to Western liberal thought in our times.